S-300 supplies to Iran will be completed by the end of 2016. 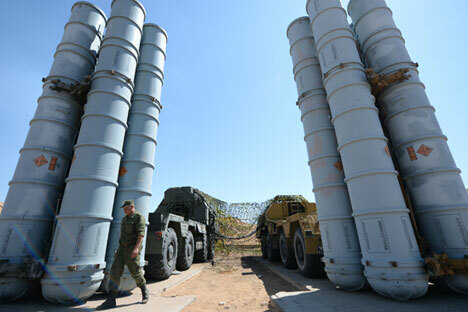 Tehran has fully withdrawn its lawsuit filed against Russia on the S-300 missile systems, Vladimir Kozhin, Russia’s Presidential Aide for Military Technical Cooperation, told TASS on Sept. 6. "Yes, it has been withdrawn," he stated. In May, Kozhin told reporters that Iran took all necessary steps to withdraw the lawsuit, but some "legal procedures" had still remained. In 2007, Tehran announced the purchase of the Russian S-300PMU-1 systems. However, in 2010, Russia’s then president Dmitry Medvedev banned the delivery of these weapons to Iran. As a result, Tehran filed a lawsuit against Moscow worth nearly $4 billion. Russian President Vladimir Putin lifted the ban on S-300 supplies in spring 2015. Earlier reports said that S-300 supplies to Iran would be completed by the end of 2016.